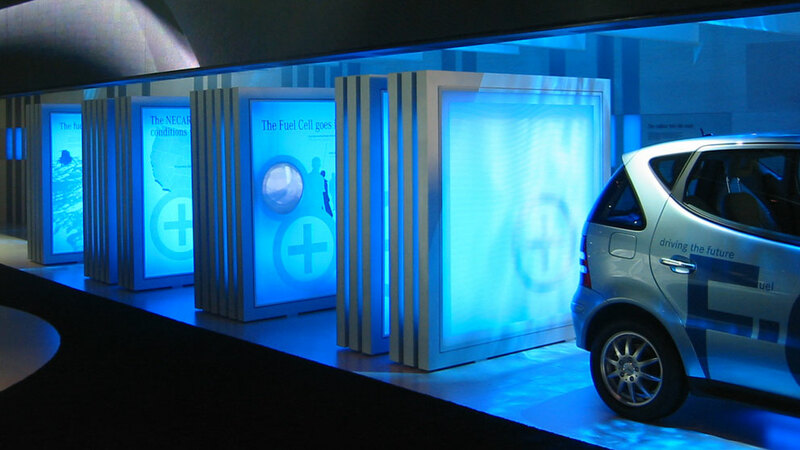 Concept and realization of a walk-in, three-dimensional media exhibit for the communication of fuel cell technology. 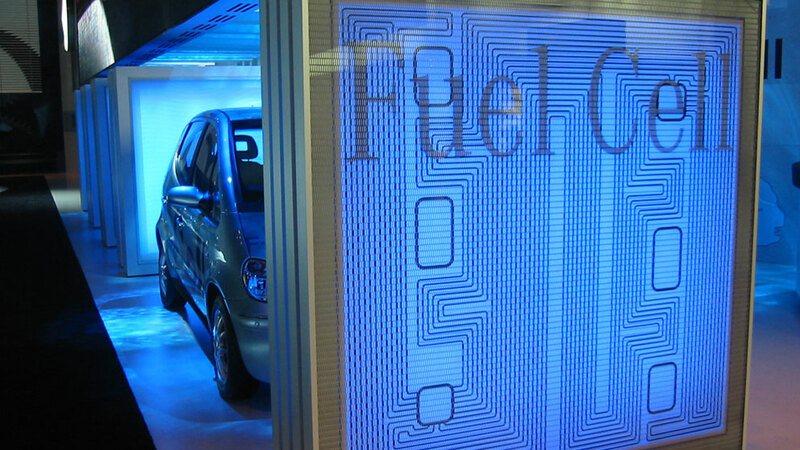 We created a self-shining walk-in media object representing the additive structure of a fuel cell’s membrane and presenting itself as a counterpoint to today’s internal combustion engine technology through its colours and its energetic pulsation. 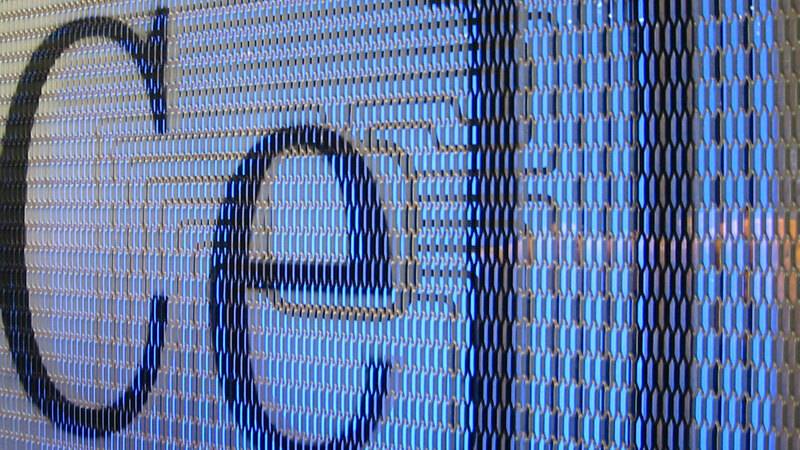 The 13 metre long exhibit contains a fuel cell vehicle and three walk-in information rooms: surround sound, multilayered graphics and integrated film projections highlight this new technology’s milestones. 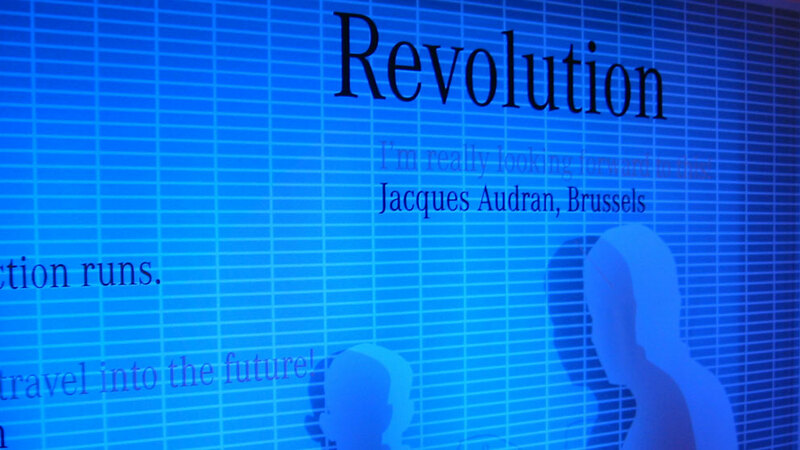 An accompanying wall shows the history and surrounds the exhibit in an atmospheric room flooded with light.